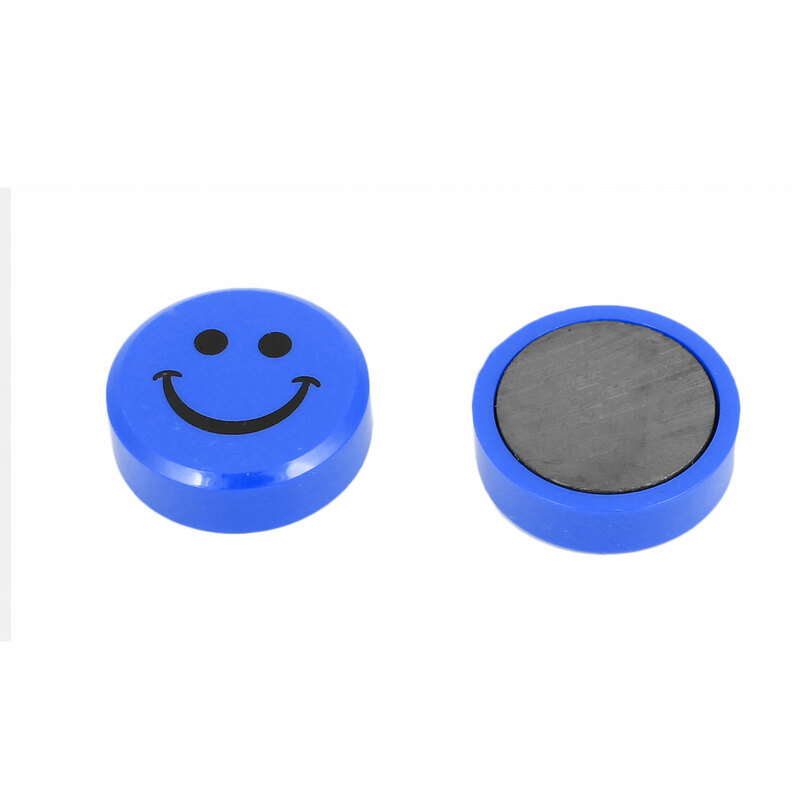 Designed with the round shape and round magnet at the back. Used to decorate the surface of the iron products, home appliances, such as Refrigerator, freezers, bookcases and auto car, etc. The magnetic sticker can stick map and paper to the metal board in any way. Note: This protect is magnet, do not put it near TV, laptop, compass and other things which is easily affect by magnet. Total Size: 3 x 0.9cm/1.2" x 0.4"(D*H). Package Content: 10 x Magnetic Stickers. Designed with magnet bottom, is suitable for sticking on metal material, such as refrigerator, washing machine, file closet or other office equiments, white board or blackboard.